August began with a monster musical experience: George Clinton and Parliament Funkadelic. Playing on what Clinton says is his last tour, it was a joyous, raucous and funktastic live set that rocked Ardmore Music Hall to its core. Clinton was as much the hype man as the lead, sharing the love with all of the Parliament Funkadelic crew. With classics like “Atomic Dog” and “Give Up the Funk (Tear the Roof Off the Sucker)” energizing a sold-out crowd craving the talents and sounds of Clinton and the P-Funk All-Stars. A show and experience that will never be forgotten from all who attended, Clinton was given a grand farewell. Remember Jones opened with a unique soul pop sound for 2018. Harkening back to a different era but with qualities all their own, covers and originals electrified the audience. Copyright ©2018 PopEntertainment.com. All rights reserved. Posted: August 4, 2018. 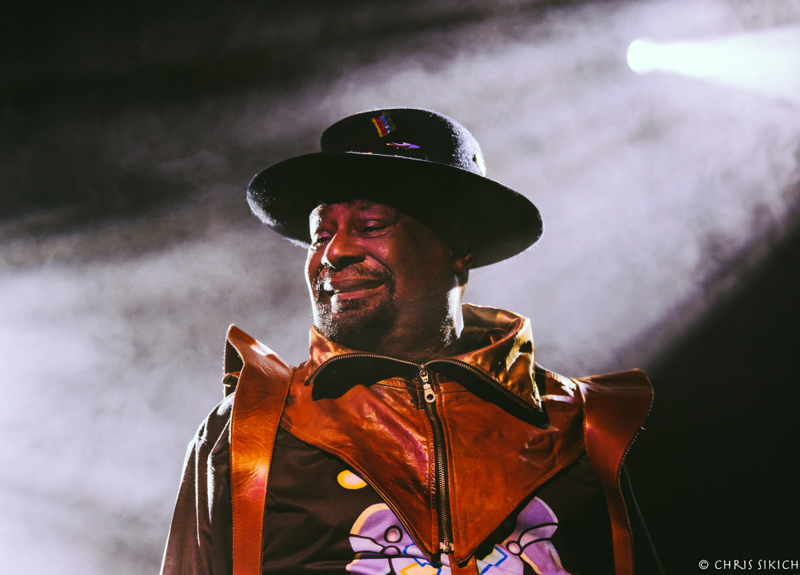 Tags: 2018, Ardmore, Atomic Dog, August 1, Farewell Tour, Funkadelic, George Clinton, Give Up the Funk, last tour, P-Funk, P-Funk All Stars, PA, Parliament, Parliament-Funkadelic, Remember Jones, Tear the Roof off the Sucker, The Ardmore Music Hall. Bookmark the permalink.